MYRTLE BEACH, SC (WMBF) - The 2015 Target Zero campaign is making some rethink how they view the number of traffic fatalities. South Carolina Highway Patrol's Target Zero campaign is all about decreasing the number of fatalities on South Carolina roads but the campaign doesn't just talk numbers, it speaks to families. 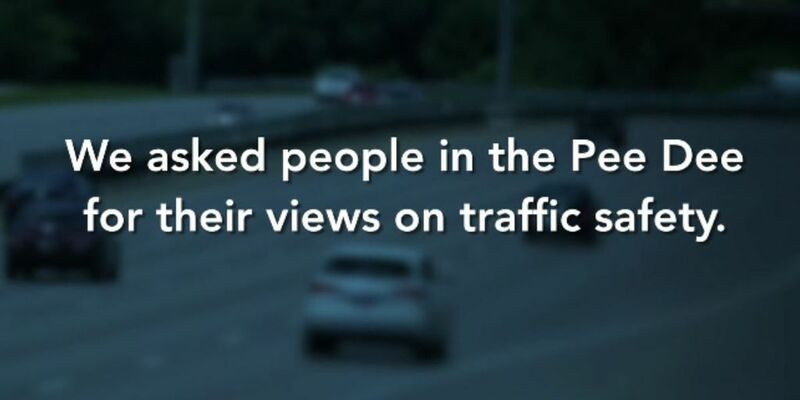 The campaign starts by asking everyday people from various areas of South Carolina, how many fatalities they think happen in the US every year. From there it asks what a reasonable goal to reduce the number of traffic fatalities in South Carolina would be. "..like maybe 25 percent, 25 percent, yeah," one woman guessed. "Half is a tremendous start," another woman said. Then, the campaign takes a turn not many see coming. It asks what a reasonable goal for traffic fatalities in a person's family would be. "Say again now?" one man asked. "Zero. Zero of course," he later said. In asking people what they think of the campaign targeting families, many say it pays off. "You drive past them and you're like, 'Oh a crash, that's awful.' But until you think about it being your family or your kids.. it doesn't really affect you," Courtney Mendez said. "When you ask someone just in general, it doesn't hit close to home," Angela Carter added. Both Mendez and Carter are mothers, and say this approach will urge people to take the campaign seriously. "But then when you bring it, 'Hey they could be your kids in that car crash,' like I know for myself, I'm going to be more likely to participate in a campaign if I think it could affect my family," Mendez explained. "I think that it will get people thinking more, and just be a little more cautious," Carter said. Asking people about family isn't the only way some felt the campaign gets personal. "You know you're talking to the average man or woman on the street, does bring it home, it's an excellent effort and should continue," John Sheagren said. According to South Carolina Highway Patrol, the average number of fatalities on South Carolina roads is 800; 33,000 fatalities happen nationwide. "That's ridiculous and very preventable," Sheagren said. "We don't want anyone to be dying on the roads," Carter said. Aside from the campaign working in ways, some believe seeing it before a big travel holiday weekend, will really affect drivers too.